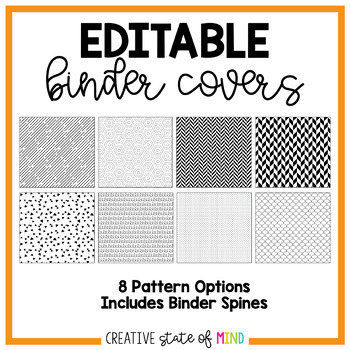 Binder covers are a great way to not only organize your documents, but they can also brighten up your days at school. I firmly believe that binder covers are a must in all classrooms. If you have any questions, feel free to email me at miss.kristina.tpt@gmail.com! See product cover for pattern options.